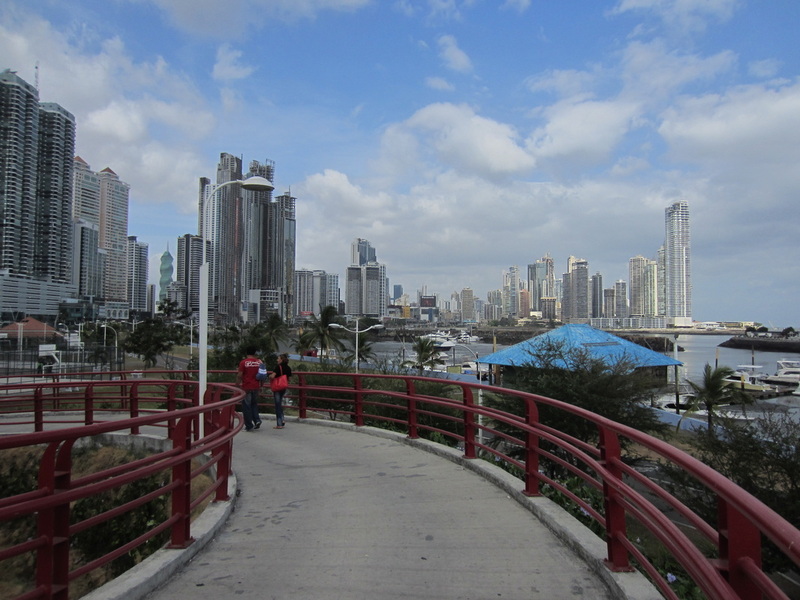 Panama city is most certainly a vibrant location with the modernity of the most architecturally interesting high rises mixing it with original old shacks tucked away here and there. Visiting Gran Terminal which is a focal point for old American school buses and brand new units alike, here is one of the biggest shopping malls I have ever been in. Though admitting not to have been in a huge amount. A bus for 50c was caught from here to the Miraflores lock at the Pacific end of the Panama Canal. Perfect timing occurred with the presence of a huge container ship from China passing through. It took 8 minutes to let the water out of the lock to lower the vessel to the level of the pacific ocean. It was $8 to view proceedings and see a movie, great value. Walking in, crocs were seen lazing below a foot bridge. very few visitors were on foot. To think this was all constructed in 1913 is quite amazing. The are presently building a new set of locks to take even bigger ships. 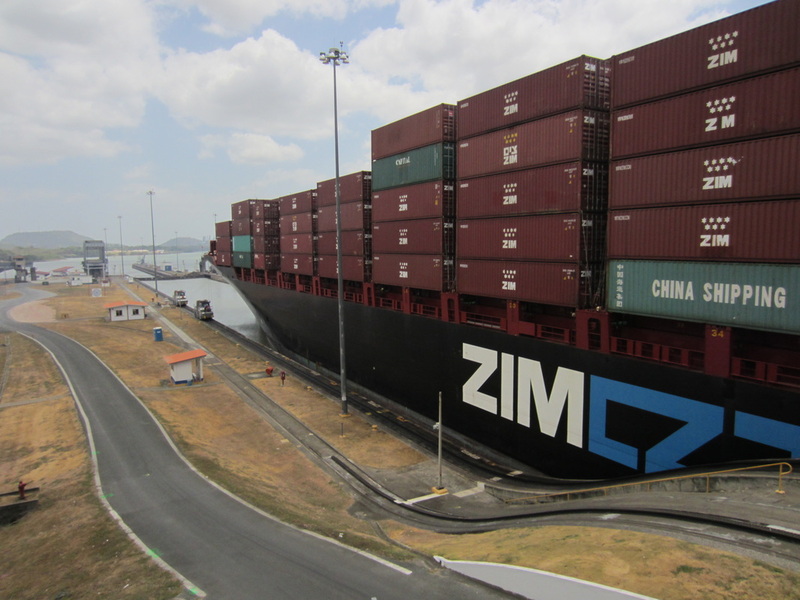 The canal was under Panamanian control as the new century dawned, since 1979 the handover process had been initiated by Jimmy Carter. It handles 13056 blue water ships every year from 70 nations. The average toll for ships using the canal is $100,000 many ships save 10 times this amount not having to make the passage around the horn. The record toll was for the cruise ship Norwegian Pearl, $375,600 and the cheapest fee was charged to Richard Halliburton who swam the canal in 1926, he was slugged .36c based on his displacement tonnage. Rumour has it he payed cash on his way through the final lock! The canal is 50 miles long and ships are lifted 85 feet as they cross the isthmus. 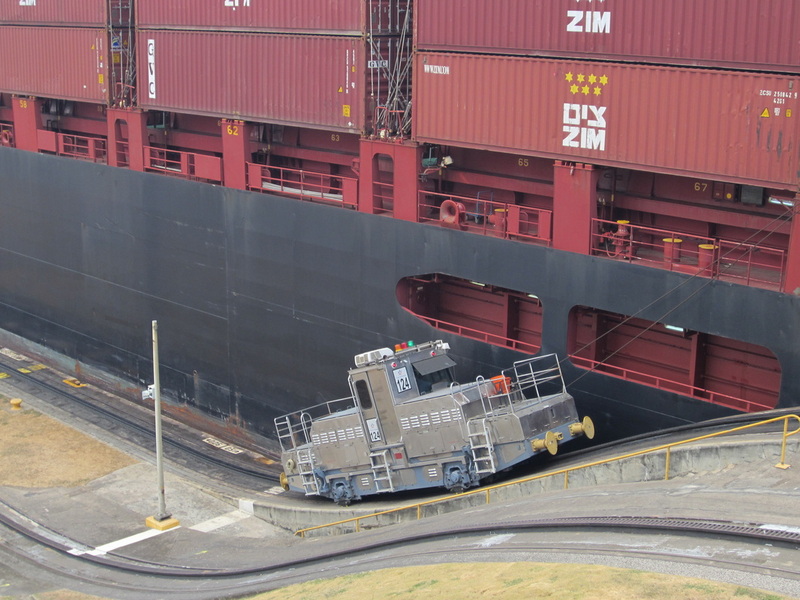 The Miraflores locks raise or lower vessels 54 feet. The Pacific side is lower. Other than that the last two days were spent relaxing. Time was spent with a friend of an old school friend at Flemenco Marina on the causeway. Warren has a yacht at anchor in the harbour. However the drivers will pickup as many people thet can get in, it all adds to the atmosphere of the city. Dynamic, to say the least. Off to a shopping centre near you?